For a couple of years 100%natural-monitor has been following the evolution of design products through “prototyping technologies”. While some of the companies have turned into producers of those “prototypes” using more orthodox materials (ceramics, porcelain, plastics etc.) and loosing their originality, Materialise continues coherent with their philosophy, “materialise whatever you dream”. Here there are our favourites in this year’s Milan issue. On top “Polivase”, design by Dan Yeffet “Jelly Lab”, and from left to right “Palea” by Dan Yeffet, “open-cube” by Jiri Evenhuis and “minishakes” by Arik Levy. 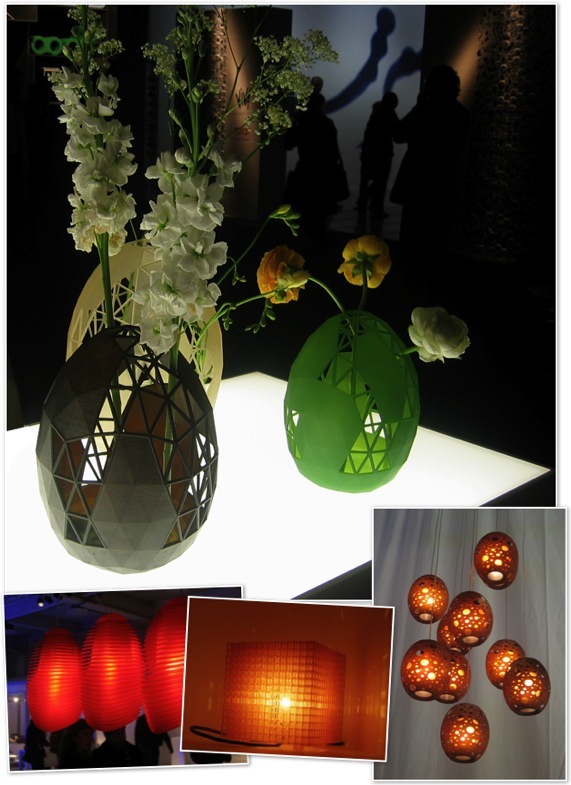 All those lamps are produced by means of the Selective Laser sintering process.